Today I’m welcoming Katie Hess to the podcast! We’re digging into flower elixirs and how they can help on your journey to conceive. 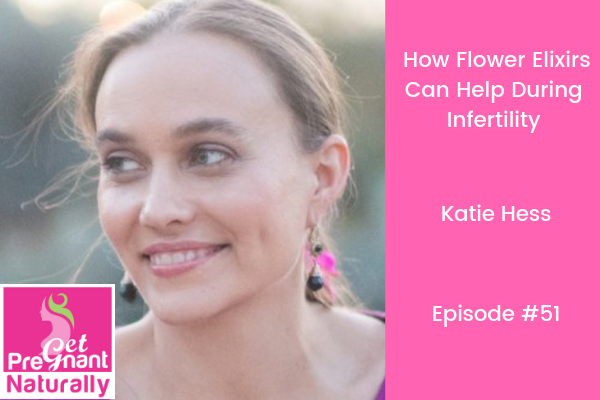 Katie Hess is a flower alchemist, author of Flowerevolutionand founder of LOTUSWEI, one of the world’s leading floral apothecaries. With her signature elixirs featured in O, The Oprah Magazine, The New York Times and the LA Times, her flower-powered community is thriving in over 15 countries. When I was looking for a fragrance that wasn’t filled with harmful chemicals I stumbled upon Lotus Wei….and found that flowers can offer us WAY more than a beautiful scent. I’ve sampled their flower essences and the flower elixir’s. Flower elixir’s are the one’s you ingest…I love the inner peace elixir. Turns out there is a flower for everyone. One that can help us feel calm, one that can help us feel peaceful, or one that can help us through strong emotions. Katie Hess, founder of Lotus Wei discovered that working with flower elixirs could squish six months of personal growth into one. In the short term, you start to experience less irritation. Everything’s smoother. The stress dissolves. You sleep more soundly. Any strong emotions get softer and lesser. What are the differences between flower essences/elixir’s and essential oils? We discuss safety around pregnancy. How do we pick a scent/elixir that is right for us. Hint the flower choses us. How do the flowers help with self awareness and processing heavy emotions. How do we use them during meditation, journalling or yoga to enhance our experience.